The history of bio fireplaces is indicative of the willingness to adapt new items to our modern urban lifestyle. Originally, a loft was a living space designed by artists in workshops or warehouses. These abandoned commercial or industrial spaces quickly attracted a large audience. Made up of large, open spaces, lofts retain the imprints of their former roles (vaults, metal beams, rehabilitated brick or concrete walls, etc.). The “Loft” automatic bio fireplace was designed in this spirit of modernity and openness in which different creative styles mixed. Available in satin black, satin white, corten and stainless steel. 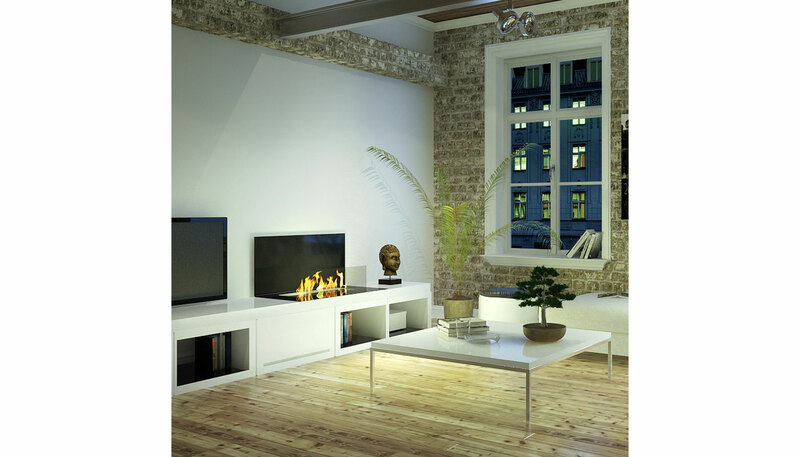 The Loft fire place can mounted on a wall set on a cabinet or recessed into a cabinet.